So I'm super excited today, you know why? Well here's the gist...I get to talk about one of my favorite topics in this blog post titled :Coat of Many Colors. So sit back, relax and gain something! Now, some of you must have mistakenly assumed that this post has a connection with the coat from the bible. Well, I wouldn't say you are totally wrong, only that in this situation, I am talking about a whole different shade of colors. And yes, I'm talking about our skin color. Often times, I'v hit the road and seen terrible shades of skin colors, from colors that could be likened to Fanta, to colors that could be likened to coca cola, and some others that I just cannot place the right word for. Now while it doesn't exactly strike me as surprising among the females, its quite ridiculous to find out that some men partake in this age long business of skin wonder! 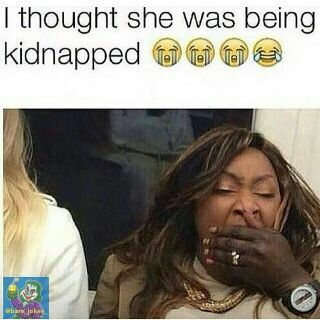 Don't get it twisted, we are still on the same page...I'm talking about skin bleaching!! Now get in here!, you would want to hear this,its quite unbelievable! Did you know that according to the World Health Organization : Nearly 77percent of Nigerian women (the highest in the world) use skin lightening products on a daily basis! Can you imagine??? Well, I never would have imagined. Now some people, have argued that the most valid reason for the need to outrageously enhance your skin color has a strong connection to an individuals self esteem and the need to be socially accepted. While that may be true, what then is the argument of fair women who still go ahead to enhance their skin colors? Often times, I'v seen the high end traders ( the jewellery woman, the pepper seller, the cat fish seller, the lace sellers) of Idumota market haggling down the prices of carelessly packaged bleaching products that carry pictures of innocent chinese teenagers. And then you see the hawker who is often a shadow of her own self, promising the women that their sun baked cheek flesh would spring back to life with just a smear of the bleaching product and the women hand out wads of naira placing their hopes in the empty promises of the hawker who of cause is a shadow of her own self. Are these women to blame? Are they not the once beautiful ones that have now been shoved aside like empty match boxes? Are they not mothers who have languished under the scorching sun to make ends meet??? Wollup..wollup! !...I'm getting all emotional now. Lol. Young ladies and the big madams , I'm totally against skin bleaching, but then if you must enhance your skin color, at least do your self the favor of doing it the right way. Visit a dermatologist, talk about your need to enhance your skin color and go with the best prescription that suits your skin. Well if that is sounding like what the rich alone can afford, their are less consequential home remedies that can enhance your skin color and still make you attractive, and of cause I took the trouble of compiling a list! Don't thank me honey, your appearance is as important as my tall glass of sparkling water. look is healthy and unblemished. for 20 – 30 minutes. Wash with normal water. that help keep your skin very healthy. harmless and even cost you less. Well, here's where I draw the curtain!...do have a fabulous week ahead and of cause here's my quote of the week: " Do not try to repaint those that show you their true colors"
Am so excited I found this blog.Looking forward to more interesting post,MSA......Thanks for the blog visit.